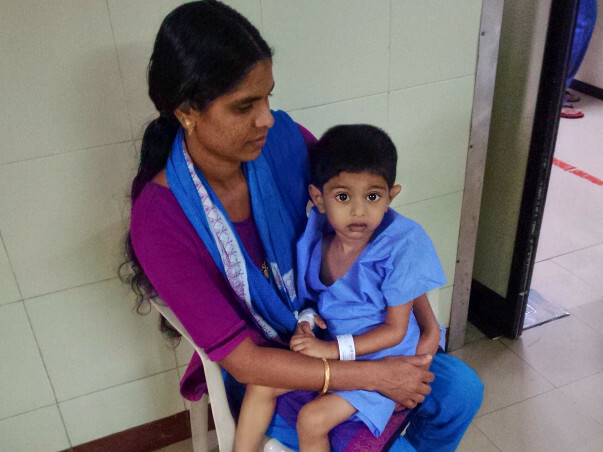 Master Sreenand is a 2 year old little boy, a resident of Wayanad, Kerala. He presented to us with history of recurrent fever for one month. 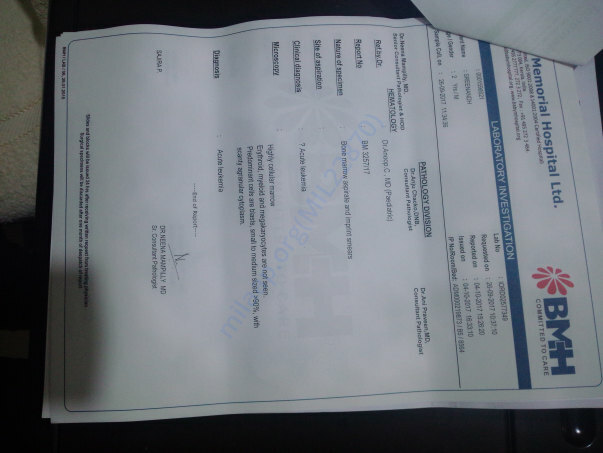 Upon evaluation, he was diagnosed to have ACUTE LYMPHOBLASTIC LEUKEMIA(ALL), a type of blood cancer. This is a potentially curable cancer, if treated properly. Treatment includes chemotherapy for 3 1/2 years and a short course of radiation to the brain. 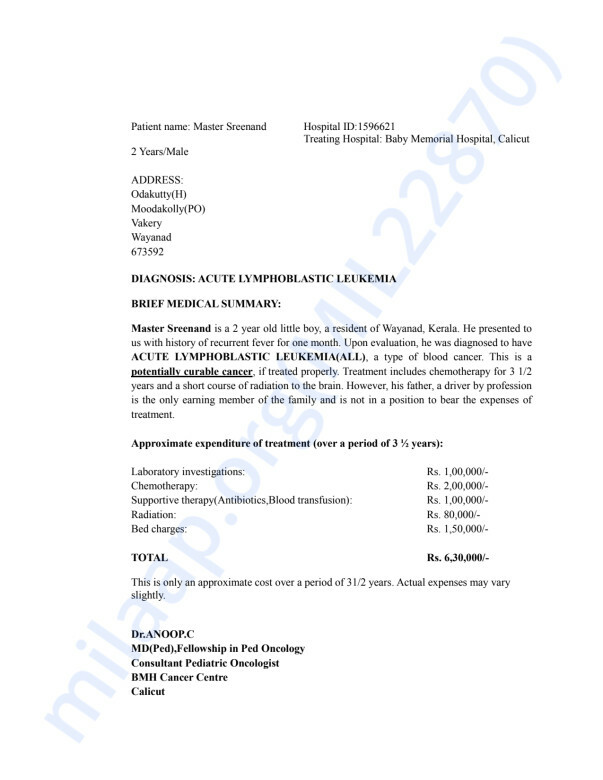 However, his father, a driver by profession is the only earning member of the family and is not in a position to bear the expenses of treatment.This is a humble request to help this baby and his family to fight this crisis. Thank you for the love. 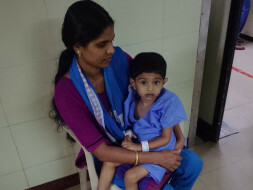 Sreenand is now on maintenance phase of chemotherapy and is fine. 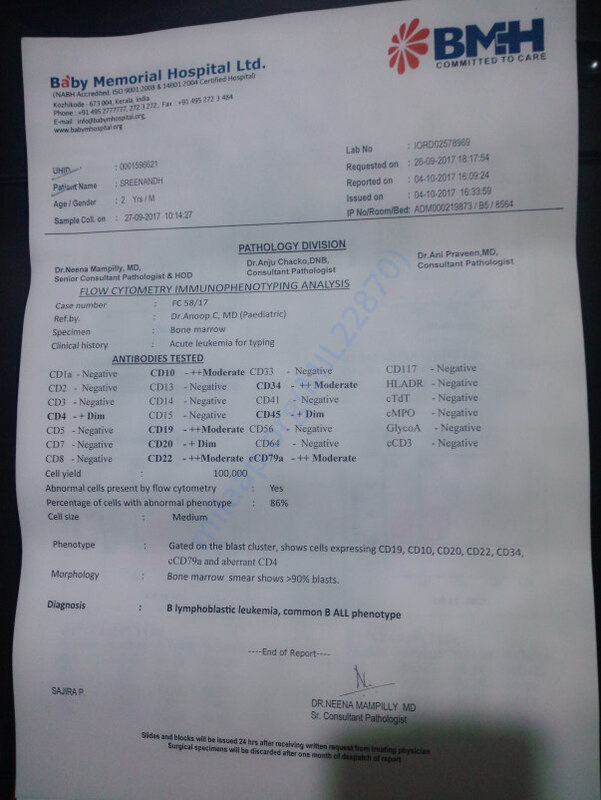 He is coming for monthly check up. Thank you all for the wonderful support. Thank you for the wonderful support that you have shown towards my son. He is doing better now compared to earlier but has to complete the treatment. He is undergoing chemotherapy and has normal side effects. He has developed a fever and he has been admitted to the hospitalised as he has developed pneumonia. The doctors are treating him for the same. 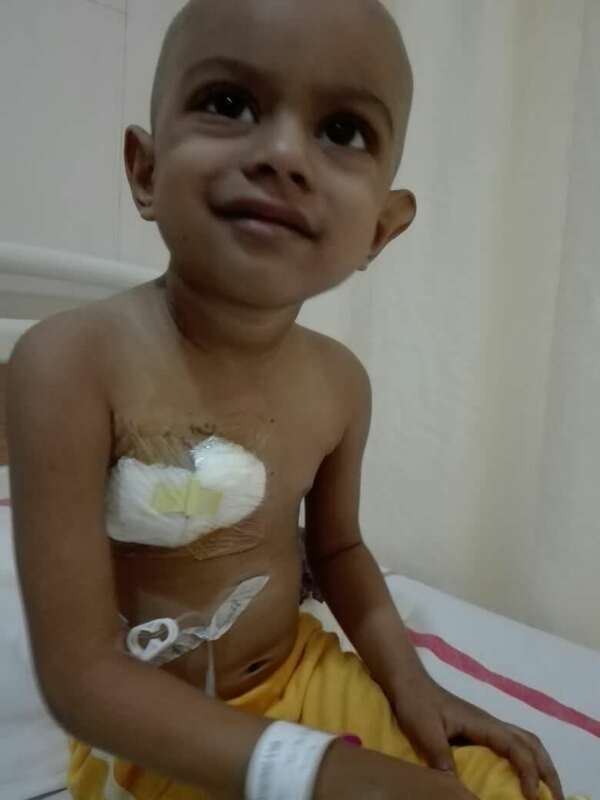 The doctors suggest that he might not be needing a bone marrow transplant as his response to the treatment has been positive. A few tests were conducted and the results indicate the same. Thank you all once again. Do pray for his health and speedy recovery. Will keep you posted.